A digital story designed to help you learn something you may not have know about the library today. Months before its release, friends and family began sending me links to the movie trailer for “The Public.” It made them think of me, they said. 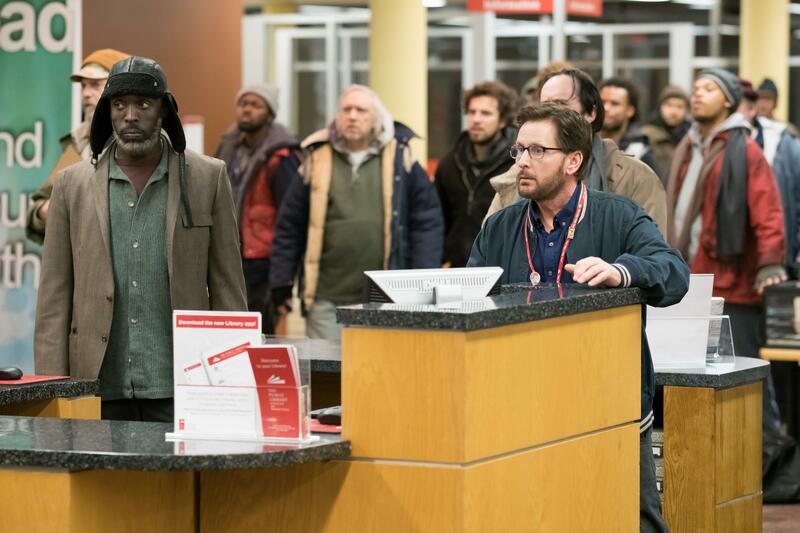 In the film, a passion project of actor-director Emilio Estevez, homeless patrons, unable to face another night in the subzero Cincinnati winter, refuse to leave, and “occupy” the public library. While critics and moviegoers may view aspects of “The Public” as dramatic license, for me it was the first time I ever saw my job reflected on the screen accurately. I quit my job as a librarian last fall. It was not because I had become bored living out the hackneyed stereotype of a cat-eye-glasses-wearing librarian shushing patrons from behind an imposing mahogany desk. No, I left the library because I had begun to burn out and experience symptoms of post-traumatic stress disorder. I’d been a school librarian for more than five years before taking a job at a branch within the Washington, D.C., public library system for the last nine months of my career. The movie’s opening scene of homeless people rolling up their sleeping bags and lining up outside the still-locked doors of a library mirrored my own mornings. I would arrive 30 minutes before the branch opened and find at least 10 familiar people waiting — more on particularly cold or hot days — who had slept outside or just walked over from the shelters. There was Wayne, the recovering addict who called me “Kiddo” and held the door open for me so I wouldn’t spill my coffee. There was Miss Cook, hissing and growling at her imaginary sister, and Ms. Yin, yelling about not being able to get in to get her work done — which was designing a spy café for the roof of the National Air and Space Museum at the behest of the FBI. To work in a library today, one has to be a social worker, a first responder, an advocate for the underserved, and a human with very thick skin. There were no quiet days of reading at the desk at the library. Instead, hidden underneath the circulation desk was a panic button my coworkers or I would push to alert the district’s Library Police and the Metropolitan Police Department that staff and/or patrons were in immediate danger. There were incidents daily, including drunk patrons passing out, shoving arguments outside the bathroom, psychotic episodes that resulted in screaming matches with invisible entities. But the panic button was reserved for when things were truly bad. We pushed it three times in my first month. The first time was on my second day on the job. The librarians were behind the circulation desk as a patron began throwing books, newspapers and plastic sign holders at us, screaming that he would kill every one of us. I’d just finished a baby and toddler story time and watched as the caretakers scrambled to hide the children behind tall bookcases. 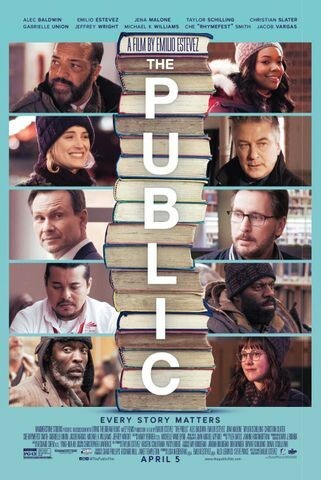 “The Public” sets out to be — and in many ways is — a love letter to urban libraries across the country and those who keep their doors open. But if it imbues its librarian characters with some moral superiority, I assure you this is something the majority of librarians do not feel. There were days I lost my temper, days I felt extreme anger toward particularly difficult patrons, and days I sat in the back room and cried. I certainly never hung out in the bathroom with patrons, and I definitely never gave anyone a wad of cash out of my pocket as Estevez’s character does at one point. And yet, to work in a library I also had to be a social worker and a first responder, an advocate for the underserved, and a human with very thick skin. The act of civil disobedience that gives the film its dramatic structure asks big questions: What is the bare minimum we expect of society, and how does that differ from a fully human response? It is the bare minimum for a city to provide shelter beds to its homeless. It is human to create a sanctuary for them in their daily lives. It is the bare minimum to pay librarians to take on an unthinkable range of tasks to maintain this sanctuary. It is human to deal with the deep internal struggles and burnout this will cause. 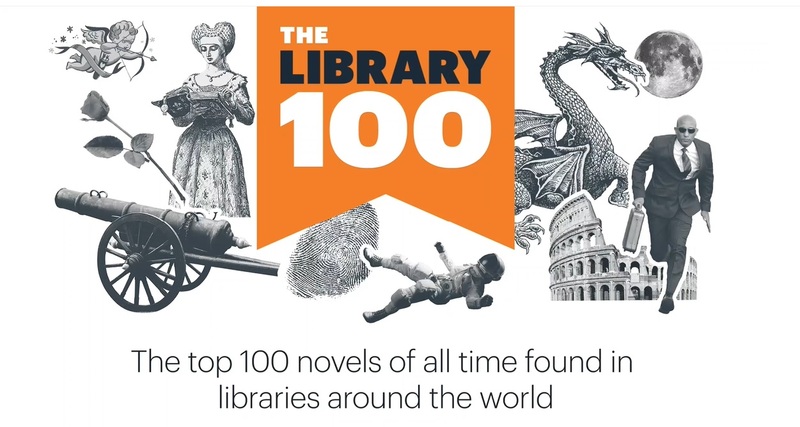 Maybe it is too much to hope that a movie or a bestseller like Susan Orlean’s “The Library Book” will truly ignite a civic conversation about the conditions of cities and their libraries, about librarians and patrons. But it is essential to understand that libraries are in this state because other systems failed. We have never remedied the mental health crisis that flowed from the closings of state psychiatric hospitals in the 1980s. Money for low-income housing and social service programs has dwindled for decades. In recent years, cities, including Los Angeles, have passed ordinances to prevent homeless encampments from becoming permanent tent cities. Restaurants, museums and other public places kick people experiencing homelessness out onto the streets, where they are also told they cannot be. The library is one of the few remaining places they have to go. Toward the end of the film, one of the senior librarians passionately declares the public library the nation’s last bastion of democracy. And it is. I’m so glad that I devoted seven years of my life to working in one. Libraries are great social equalizers. But we should be asking how other institutions can emulate their work as caring advocates and providers for society’s most vulnerable. Libraries can’t be the only ones. Amanda Oliver is a graduate student in nonfiction creative writing at UC Riverside. She is currently at work on a book about being a librarian. Twitter: @aelaineo. Being a bookworm is understandably considered a solitary, lonely hobby. After all, unlike watching television, it would be awfully hard to read a book with a group or even with one other person. Bookish people have stereotypically been thought of as loners and introverts. Well, science is telling us that those labels may be false. According to research, people who read more—specifically fiction—tend to display more sociable behaviors and are more empathetic. This conclusion is based upon a British study by Kingston University in London. The researchers asked 123 people about their reading or television watching habits. They also noted what genres they liked—comedy, non-fiction, romance or drama. The researchers then tested their social skills, asking questions like: How often do you consider other people’s points of view versus your own? Or, Do you go out of your way to actively help others? One might think that those who prefer to watch television would display more sociable behavior. It would make sense. Because of the massive influx of books out there, it’s more likely that two people have watched the same show versus have read the same book. However, the results showed the opposite. In book readers versus T.V. watchers, the book readers came out on top when displaying more empathetic behavior. They also found that those who mainly watched television actually displayed more anti-social behavior. What’s interesting, as noted by researcher Rose Turner was that “all forms of fiction were not equal.” Fiction readers showed the best social skills. Specifically, when broken down by genre, they saw that readers of comedy were the best at relating to people. Romance and drama lovers were the most empathetic and most skilled at seeing things through other’s eyes. These results are fascinating (not to mention an ego boost to we bookworms); however, they do raise the old “chicken or the egg” question. Is it that reading fiction can help a person become more empathetic or do empathetic people simply read more fiction? Perhaps the T.V. watchers out there who feel they could use some more empathy can do their own experiment. Pick up some fiction and observe the changes within yourself. Need some reading recommendations? Ask your favorite bookworm, of course! Many authoritarian regimes have fallen in the Index. They include Venezuela (down five at 148th), where journalists have been the victims of arrests and violence by security forces, and Russia (down one at 149th), where the Kremlin has used arrests, arbitrary searches and draconian laws to step up the pressure on independent media and the Internet. At the bottom of the Index, both Vietnam (176th) and China (177th) have fallen one place, Eritrea (up 1 at 178th) is third from last, despite making peace with its neighbour Ethiopia, and Turkmenistan (down two at 180th) is now last, replacing North Korea (up one at 179th). Only 24 percent of the 180 countries and territories are classified as “good” (coloured white on the Press Freedom Map) or “fairly good” (yellow), as opposed to 26 percent last year. As a result of an increasingly hostile climate that goes beyond Donald Trump’s comments, the United States (48th) has fallen three places in this year’s Index and the media climate is now classified as “problematic” (orange). Never before have US journalists been subjected to so many death threats or turned so often to private security firms for protection. Hatred of the media is now such that a man walked into the Capital Gazette newsroom in Annapolis, Maryland, in June 2018 and opened fire, killing four journalists and one other member of the newspaper’s staff. The gunman had repeatedly expressed his hatred for the paper on social networks before ultimately acting on his words. Tech-savvy art historian Andrew Tallon uses lasers to unlock the builders’ secrets behind the construction of the National Cathedral in Washington, D.C.
Müze, arşiv ve kütüphaneler gibi kültür ve sanat kurumlarını yapısal bir dönüşüme hazırlayan dijital açılım, koleksiyonların, arşivlerin raflara, kapalı ortamlara veya sistemlere sıkışıp kalmadığı, herkes tarafından erişilebilir olduğu bir yapının temellerini atıyor. 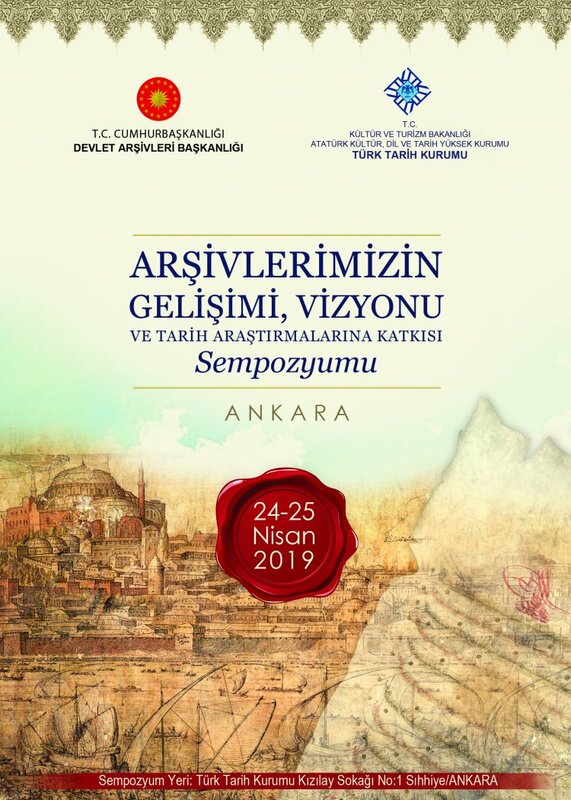 Açık kültür olarak adlandırılan bu yapı, tüm kültür ve sanat kurumlarının işleyişini değiştirirken, onların temel unsurlarının söz konusu süreçten nasıl etkileneceği üzerine soruları da beraberinde getiriyor. Kültürel alanı düzenleyen evrensel ilke ve standartlar, açık kültür ortamında kurumların hizmet anlayışlarına ve altyapılarına yansıtılabiliyor mu? 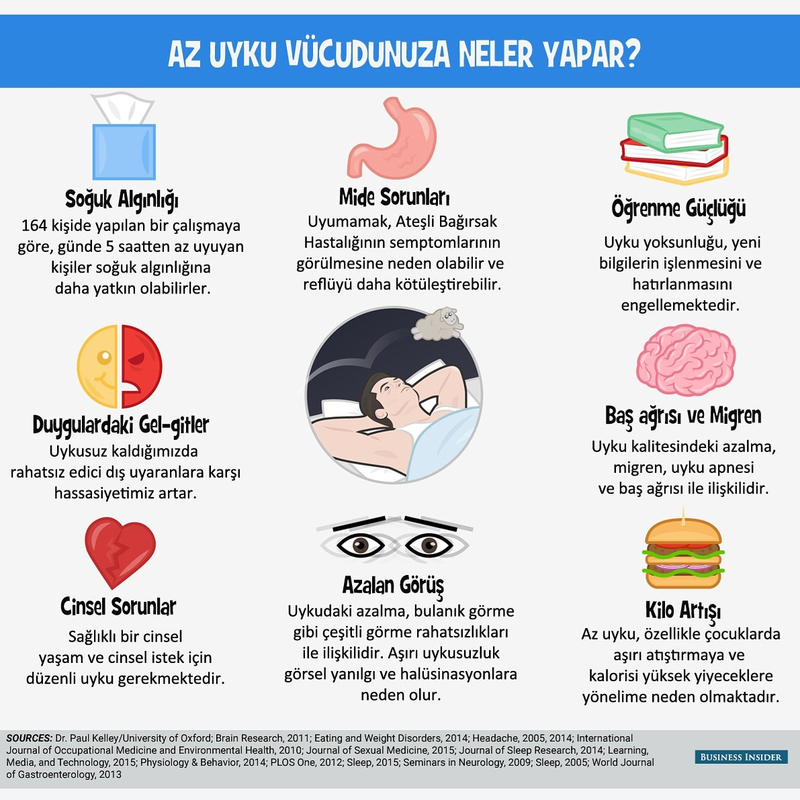 Koleksiyon ve arşivlerin potansiyelleri, dijitalleşme sürecinde ne kadar korunabiliyor? Erişime açık koleksiyon ve arşivlerin kullanıcılar arasında paylaşımı noktasında nasıl bir yapı öngörülmeli? 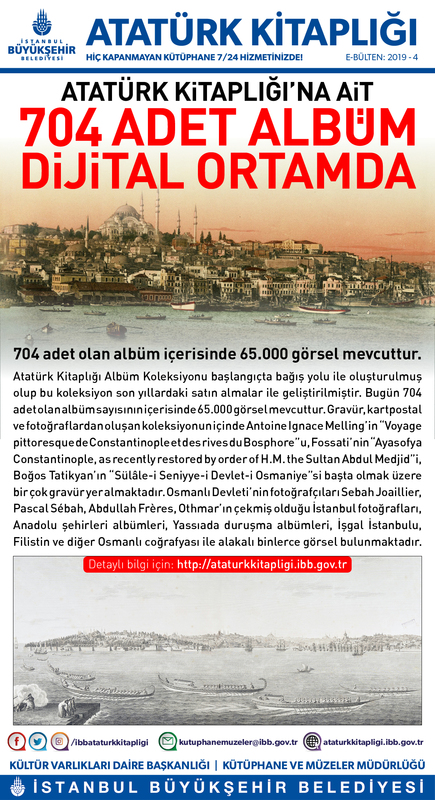 İlkay Holt, digitalSSM’de gerçekleştirdiği konuşmasında bu sorulara yanıt ararken, yaratıcılığı ve inovasyonu besleyen yeniden kullanılabilir dijital koleksiyonlar için açık lisansları ve teknik altyapı gereksinimlerini irdeliyor. Samsun Büyükşehir Belediyesi’nin bünyesinde kurmuş olduğu Güçten Düşmüş Sahipsiz Hayvan Bakım Merkezi içerisinde yer alan Kedi Kasabası iki yıl süren çalışmaların ardından 2015 yılında hizmete açılmıştır. Yirmi dönümlük arazide inşa edilen Kedi Kasabası yazlık – kışlık bungalov evleri, kediler için ayrılmış özel oyun alanlarıyla hayvanların rahat ve huzurlu bir ortam içerisinde yaşamalarına imkan sağlamaktadır. Tesiste kısırlaştırma işleminin ardından kuduz, iç – dış parazit ve karma gibi sağlık aşıları yapılan kediler doğal yaşam alanlarına bırakılmaktadır. Kedileri rahatsız edebilecek dış etkenlere karşı koruma altına alınmış olan bu ortam, içerisindeki barınma ve oyun alanlarıyla kedilerin kendi yaşamlarını organize edebilecekleri rahat bir yaşam alanı sağlamaktadır. We are in the midst of a sea change in healthcare—fully cognizant that we need ways to bring care to people rather than always expecting them to come to the clinician. The good news is that we already have the infrastructure in place to make this happen—the 9,000 public libraries across our nation. And there are communities that already have social workers, clinical psychologists and nurses actively working in libraries. Surprised? You’re not the only one. In a recent conversation with a colleague, I mentioned my life-long love of libraries. He chuckled at my old-fashioned ways and tried to tell me no one goes to the library any more. I disagreed, and suggested he take a minute to visit his local library to see how many people rely on and use this precious community resource. According to a 2017 report from the Pew Research Institute, Americans trust and depend on their local libraries to disseminate factual, credible knowledge. About eight in 10 adults (78 percent) say public libraries help them find trustworthy and reliable information. 76 percent say libraries help them learn new things. 56 percent believe libraries help them find information to aid with decisions they must make. I’m talking about knowledge and community building. Communities rely on their library as a hub; it’s part of the social fabric that embraces every walk of life, every socio-economic level, all abilities and all backgrounds. 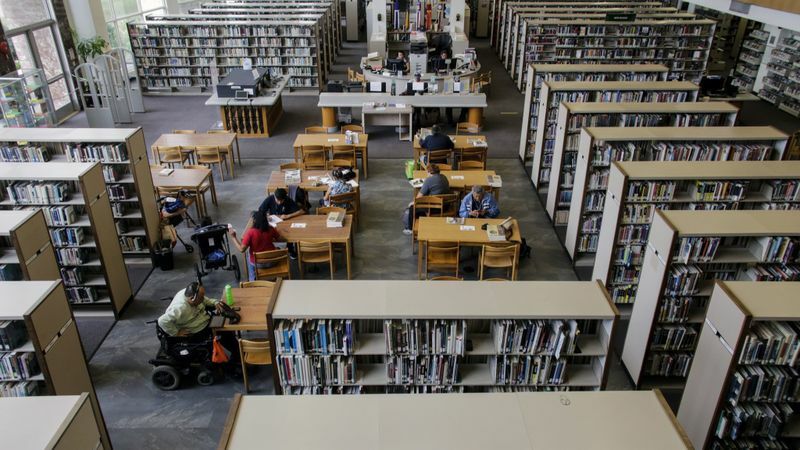 Libraries offer space for early or election day voting, meetings, tutoring, classes on everything from how to develop a podcast to clipping coupons (and more), and access to new technologies that patrons can try out and use. San Francisco was the first library in the nation to hire a full-time social worker; today, numerous libraries across the United States have on-site nurses and social workers engaged with library patrons around health and wellness. With passage of the Affordable Care Act in 2010, many libraries used federally hired navigators to help patrons enroll in health insurance. As a health professional, think about services available within your community and envision the possible health-related role of your local library. 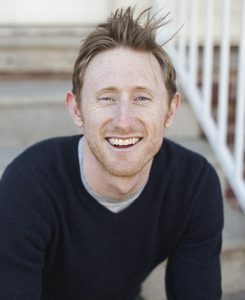 Noah Lenstra, assistant professor of library and information studies, School of Education, University of North Carolina at Greensboro, has done a lot of thinking on this topic. He provides wonderful guidelines to librarians on how to work with local hospitals and health systems to offer health programs in a community, including some of the examples that follow. A five-year ongoing partnership between the library in Chillicothe, Ohio, and Adena Community Health offers the Healthy Kids Summer Fun Challenge. This three-county program, reaching more than 2,000 children, calls for participants to read a certain number of books and complete at least eight different physical challenges during the summer. They log both activities and, upon completing the reading and activity goals, are entered in a drawing for a bike or other prize. Also in Ohio, Metro Health Systems partnered with the Cleveland School System to make a computer in each school library available, before and after school, to parents. Parents can come in to their child’s school library to log in to their Metro Health patient portal to make appointments, send emails to their clinicians, check vaccination status, and so much more. A connection with a library’s bookmobile outreach can bring healthcare services to a community. For example, the Chicopee Public Library in Massachusetts joined forces with Baystate Health for a series of consumer health programs. Students in Matoon, Ill., trained for a 5K run through a program at their library and the Sarah Bush Lincoln Healthy Communities. The list goes on of collaborative programs between libraries and local hospitals and health systems in many states including Delaware, Montana and North Carolina. The Philadelphia Free Library system offers a variety of healthcare services to its urban population including blood pressure checks, a state-of-the-art kitchen and teaching classroom, classes offered by medical experts on CPR training, breast cancer awareness, and HIV and hepatitis B testing. They have partnered with others in the Philadelphia area to identify the health needs of their residents and design programs to meet those needs. One way we need to change healthcare is to bring wellness and care to where people are. Stop making people travel to clinics and hospitals that are often far away, unlike their neighborhood library. Where public transportation exists, you can bet the library will be one of the stops. Libraries are the heartbeat of a neighborhood. They are community connecting points, viable destinations for health-related or wellness-related activities for a community. A new film written and directed by Emilio Estevez explores the complicated relationship between libraries and the homeless community. “The Public” centers around the Cincinnati Public Library as the city experiences a bitter arctic chill. Estevez also stars in the film. He plays Stuart Goodson, a librarian who finds himself in a difficult position as a group of homeless men that regularly visit the library decide one evening they aren’t going to leave at closing time. They decide to occupy the space, citing the Occupy Wall Street Movement as inspiration. The story follows the role of the police in negotiations with the homeless, the state prosecutor working in tandem with the police and the news media as they cover the events. 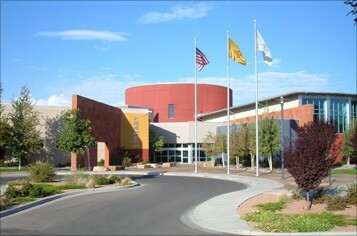 Estevez has been on a nationwide tour for the film, speaking with librarians about the significance of libraries and their responsibility to serve marginalized people. The film opens in theaters nationwide on April 5. Estevez joined the head of Miami-Dade Public Libraries Ray Baker for a conversation in Sundial’s studios. WLRN: I’ve got Google. I’ve got Netflix. I’ve got everything I want at home. How do Americans view their library today and why do we still think libraries are important? Estevez: Well first of all, librarians were the first Google. And I think we have to remember that sacred space, where a patron approaches the desk reference librarian and asks a question. Guess what happens there? They get the questions answered and the libraries are where facts live. And while they’re getting that service, they are not getting bombarded with ads. They’re not getting bombarded with spam. So recently Forbes posted an article online and it said, “Why do we need libraries when there’s Google and Amazon.” Well they were forced to take it down after two days because of the outrage by public librarians, who said this guy is full of it and and they shouted him down. So librarians are known mostly for being quiet. We’re not quiet on this subject. What’s the conversation like in the libraries with the staff about treating the homeless? You have said you want to treat everybody the same but at the same time this is a unique group. They don’t want to go home. How are you supposed to treat the homeless and help them with their issues? Baker: Well I hate to keep going back to the idea of treating them all like you would treat anyone else because they do have different needs than everybody else. We try to encourage our library and staff to help them out with getting them down a path where they’re getting help with identification cards, getting access to websites where they can get help with social security, helping them try to get in contact with relatives who might be able to help them get out of their current station in life. Emilio, a number of the homeless depicted in the movie are struggling with mental illness and substance abuse. It’s estimated between 25-30 percent of homeless in the United States are dealing with mental health issues. I’m curious about the research going into the film. What were some of the things that you found that surprised you? The Miami Dade library system is working with FIU to get social workers into the library, right? Or you want to? Baker: Yeah we’re trying to work on a program with them to get the students who are getting social work degrees, the master’s degrees, to develop a program where they can come into the libraries and try to provide social work, and work with some of our patrons that are in the library. Estevez: And this is a system that started in San Francisco and it’s been a very successful program. And it’s really taken the burden off of the desk reference librarians to deal with a lot of the issues that these individuals are experiencing. Ryan Dowd has been traveling with us, he wrote a book called, “The Librarian’s Guide to Homelessness.” And so he’s been traveling not only with me, but before he and I met he was traveling around the country. The book had just been published and he offers training specifically to librarians, about how to deal with people experiencing homelessness and mental illness with an empathetic approach. And so, he’s been very helpful along this 35 city tour that we’ve been doing on the film. Önümüzdeki 20 yılda dünya ekonomilerini köklü dönüşümler beklemektedir. Türkiye’nin arzu edilen refah seviyesine ulaşabilmesi için hem mevcut yapısal sorunlarını çözmesi hem de küresel gelişmelerde ön alıcı politikalar geliştirmesi gerekmektedir. Geleceğin müreffeh ve erdemli toplumuna erişebilmek için Türkiye’nin sosyal adalete dayalı, sürdürülebilir ve uzun dönemli hızlı ekonomik büyümeye ihtiyacı vardır. Geleceğin Türkiyesinde Ekonomi: Sorunlar, Eğilimler ve Çözüm Önerileri raporu, gelecekteki müreffeh ve erdemli toplumun alt yapısını oluşturabilmek için bütüncül bir vizyon sunmaktadır. Raporda Türkiye ekonomisinin mevcut durumu veriler ışığında detaylı bir şekilde analiz edilmiş; avantaj ve dezavantajlarından hareketle geleceğe hazırlanılmasında hangi alanlara odaklanılması, hangi bakış açısıyla ne tür politikalara öncelik verilmesi gerektiği ortaya konulmuştur. Raporda öncelikle üç küresel eğilim, bunların ulusal ekonomiler ve Türkiye için potansiyel sonuçlarına değinilmiştir. Ardından sosyal adalet, sürdürülebilirlik ve uzun dönemli ekonomik büyüme bağlamında, demografik dinamikler ve işgücü, İslami finans, uluslararası ticaret ve stratejik olduğu düşünülen sektörler ele alınmaktadır. Raporda, kısa dönemde yaşanan ekonomik dalgalanmalara odaklanmak yerine, uzun dönemi belirleyen yapısal özelliklere odaklanılmaktadır. Türkiye’nin kısa dönemde karşı karşıya kaldığı sorunların birçoğu uzun dönemli politikaların eksikliğinden kaynaklanmaktadır. Bu nedenle raporun en önemli vurgusu uzun vadeli politikalara olan ihtiyaçtır. When Johannes Gutenberg invented the printing press in the 1400s, he understood that it would lead to an information revolution. For the first time, people outside the cultural elite could easily and cheaply access information for themselves. Unprecedented sociopolitical progress followed. Expanding educational access and increasing public knowledge and understanding of our world is a fundamental tenet of our institution. And achieving this is only possible when we ensure that UC is a conduit of information rather than being, or partnering with, its gatekeepers. Today, we are seeing a renewed debate around what knowledge should be available to whom and at what cost. UC is at the forefront of this conversation. We are working to secureuniversal open-access publishing of all our research so that anyone will be able to read it, free of charge. To understand why this is essential, we just need to look at the significant achievements of our institution over the past 150 years. It was UC professor Eugene W. Hilgard who, in 1875, taught farmers how to remove salts from the alkali soils of the Central Valley — birthing what would become one of the most productive farming regions in the world. UC professor Leonard Kleinrock “began” the internet, indelibly transforming business and communications. UC graduate Mary-Claire King identified the gene responsible for hereditary breast cancer, making pre-cancer screenings possible for millions of women. UC has, among countless other achievements, brought us open-heart surgery and organ transplants, breakthroughs in climate solutions and evolutionary biology, advances in prenatal genomic testing and geothermal energy. We currently average five inventions and close to 150 peer-reviewed academic publications per day; we are passionate champions of innovation and entrepreneurship. The remarkable contributions of our researchers have generated 65 Nobel Prizes. Who owns the knowledge associated with these discoveries? I believe that it belongs to the public. Much of UC’s research is funded publicly, by taxpayers, in the form of state budget allocations and federal research grants. Yet, the current academic publishing model requires those same taxpayers to pay a fee to access its findings. That’s hardly fair. All research that is publicly funded or conducted in public universities should be available to the public. That’s why UC has joined the academic communities of Germany, Sweden, Hungary and, most recently, Norway, in calling for a reimagination of this model — one that offers unfettered public access to our extraordinary research. Today, I urge my colleagues at universities nationwide and worldwide to join the University of California in advocating for open access to the groundbreaking research taking place on our campuses and in our laboratories every day. Now is the time to take a stand — together — and launch the next information revolution by ensuring that publicly funded research can benefit all humankind. What changes when people have more access to knowledge? They learn. They grow. They share their knowledge further, and they change society for the better, for all of us. It is only by sharing the valuable knowledge we hold that we may all advance together. As our great University’s motto charges, Fiat Lux: Let There Be Light! There was once a swimming hole in a stream-fed gorge on the public lands of the Catskill Mountains that was gloriously free of Homo sapiens. You could go there in the height of summer and see no one and have the deep blue pools to yourself. Then came Instagram. I won’t tell you the name of the gorge or provide a link to the pictures, as that would only worsen the invasion of drunken, littering, caterwauling people in what was once a redoubt of solitude and quiet. Instagram users who love the outdoors have a habit of ruining the wild places they touch—a perverse irony that seems lost on them. It is now axiomatic that a locale of stunning natural beauty will quickly degrade into a morass of crowding once it is posted on the platform as a pristine image. 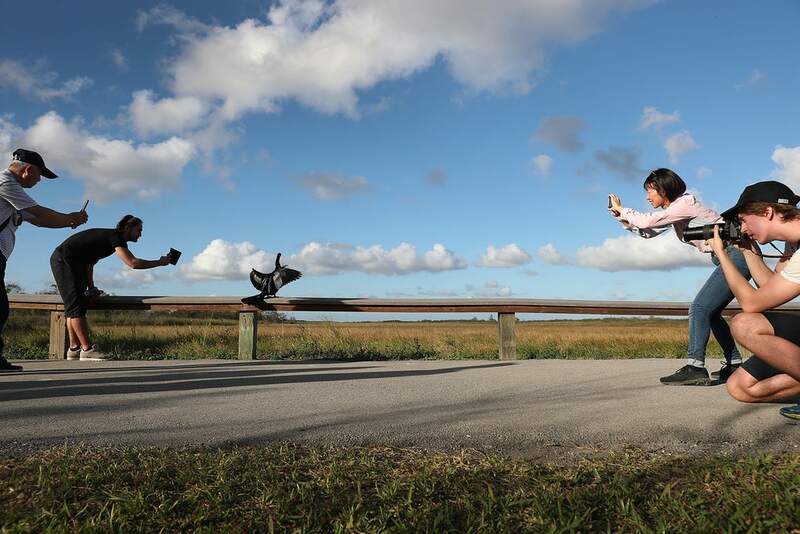 The herd instinct kicks in, and other users who also want to be photographed in those same lovely landscapes converge with their own cameras and Instagram accounts and followers—ad infinitum, ad nauseam. This fellow, who I’ll call Sabot, is an environmental engineer and an inveterate hiker and backpacker. “I’ve spent a lot of my life on our public lands, be it national parks, state parks, national forests, or Bureau of Land Management land,” Sabot wrote me in an email. “I started PLHY as a way to vent my frustration about the abuse I was seeing.” By this he means the illegal trails, campsites, and campfires; the growing trash along the trails; the human feces, improperly disposed, stinking in the forests and the canyons; the freshwater pools turned into urinals; the ancient archeological sites vandalized and looted; the trees scarred from the maulings of knives, the rocks graffitied, the vegetation stomped out of existence; and so on. The priest in charge of Paris’ Notre Dame Cathedral says the landmark, nearly destroyed by Monday’s fire, will be closed for five or six years. Twenty-first century technology will likely be pivotal in its reconstruction. Jericka Ducan reports. Your publications, citation metrics, peer reviews and journal editing work, in one place. 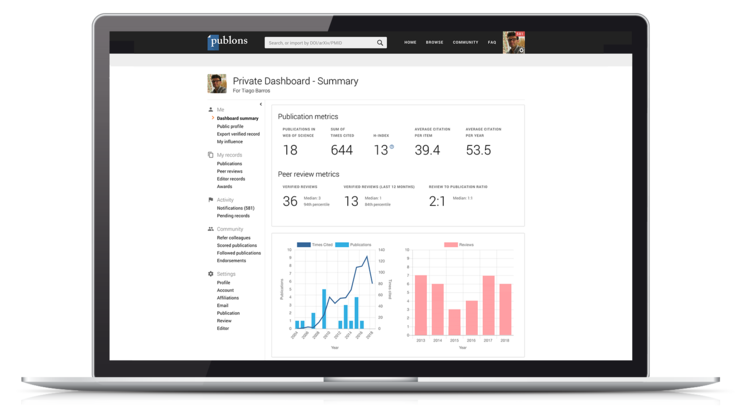 Use Publons to track your publications, citation metrics, peer reviews, and journal editing work in a single, easy-to-maintain profile. Phone overuse. Social media addicts. Digital generation. These are a few of the many stereotypes associated with being a Millennial. But perhaps they are just the most misunderstood generational group? One of the things unnoticed about them is their voracious reading habits. It’s easy to think negatively when you see them engrossed by their phones, but chances are, they could be reading a book or online news. 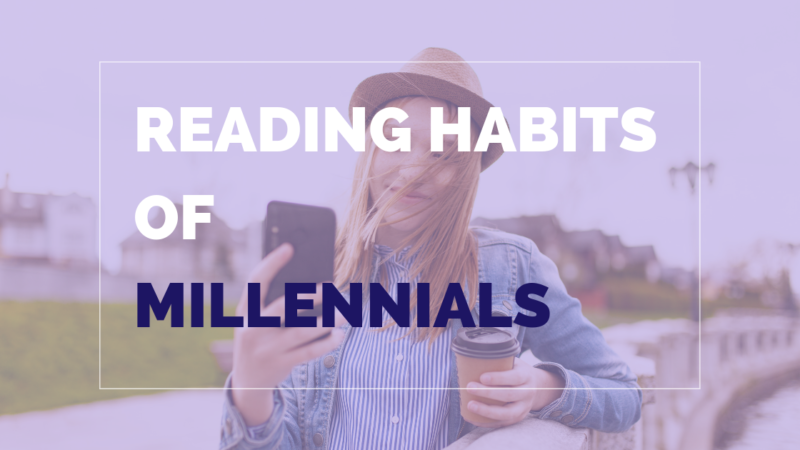 The Expert Editor’s latest infographic has thrown up some surprising insights into the reading habits of Millennials. 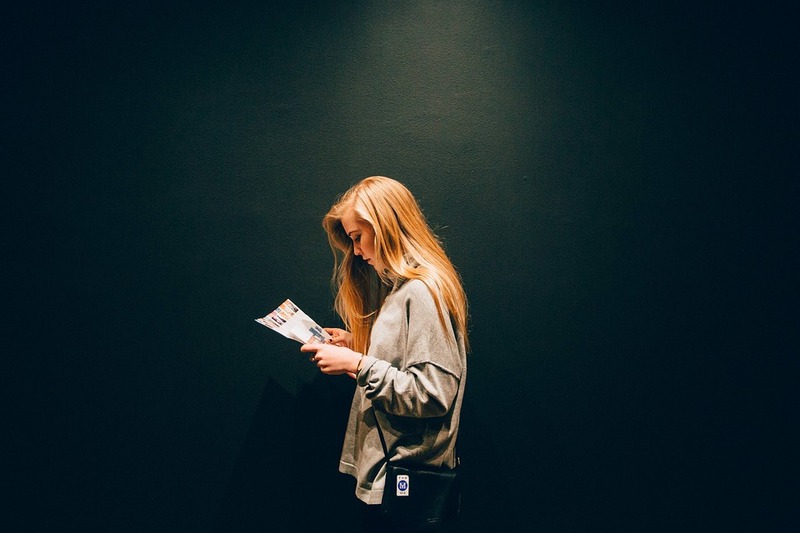 According to studies, 92% of Millennials read to research something they like. In fact, Millennials read more than their parents or any other age groups. Contrary to popular belief that they prefer eBooks, 72% of Millennials would rather read a printed book over a digital alternative. Not only that, but most of them also favor printed materials when it comes to their textbooks. They may be the digital generation, but their love for a printed book is the same as that of the other age groups, if not higher. In fact, the worldwide publishing industry isn’t as unhealthy as some people make out – it has been growing at 1% annually for the last 5 years. They are much more likely to read news than to watch it. Hopefully, after reading this information new insights into the reading habits of millennials were discovered. The original post can be found here. 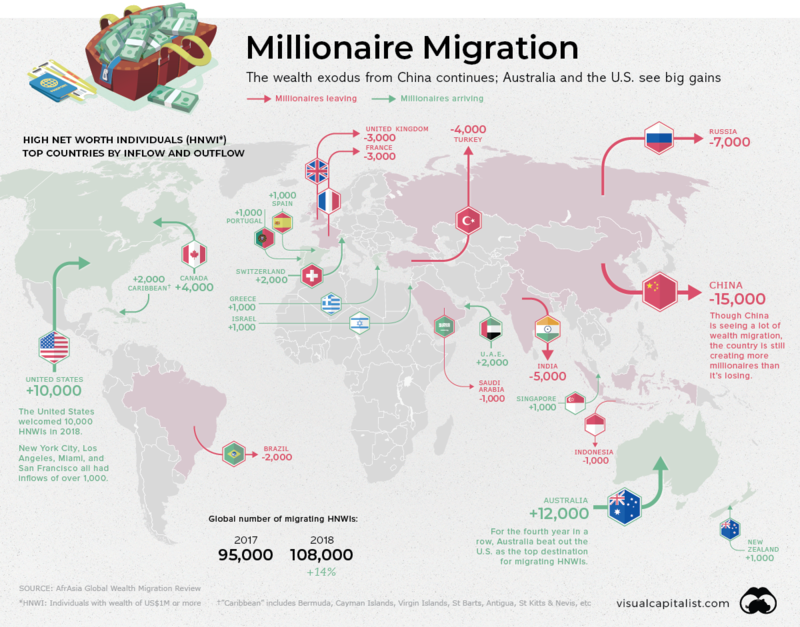 Make sure to also check out the post on reading habits from around the world, which also provides interesting information in an easy to read infographic. DW set out to prepare a list of interesting German-language novels and stories published since 1900 that have been translated into English. The compilation turned out to be the first of its kind. 100 German Must-Reads is produced by DW’s book experts, Sabine Kieselbach and David Levitz. This article is the sixth and final in a series about creative spaces in libraries. For a definition of library creative spaces, read the first article in the series. Makerspaces are as likely to be high tech as they are to be low tech. Low-tech makerspaces will have equipment like markers, paint, fabric, LEGO blocks, clay, power tools, and even (non-electronic) hand tools. Other makerspaces may focus on the technological side of making by purchasing virtual-reality headsets, 3D printers and scanners, Makey Makey or Arduino circuitry kits, or video game consoles. The best way to determine which kind of technology is most likely to be used is to conduct a needs analysis before moving ahead with a project. Another important step is to talk to patrons using the space and assess the offerings in the space once it opens. In the US, makerspaces have often been found in K-12 schools and public libraries. 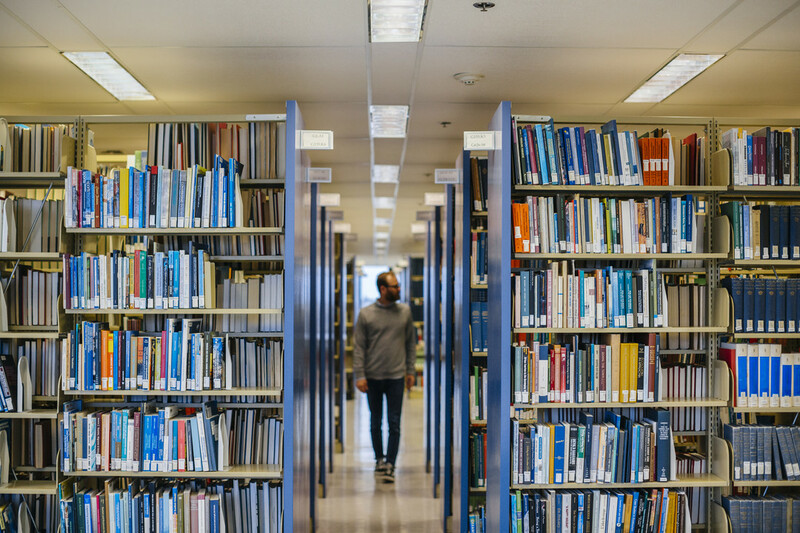 Recently, however, academic libraries’ status as the “third place” on campus where people come to gather and share ideas has led them to start offering makerspaces for their students. In a university setting, makerspaces are usually associated with entrepreneurship and innovation efforts on campus. Unlike the other creative spaces that have been discussed in this short article series, makerspaces may charge a small cost for the use of materials. Space for events is sometimes included, and these can host outreach activities such as workshops, “maker faires,” and design competitions. A showcase space is usually available to show off projects created in the space. 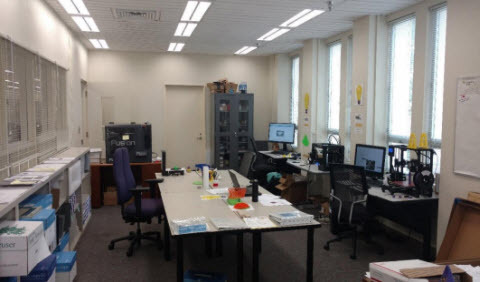 Some libraries are clearing out microform rooms or areas of the stacks to make way for a makerspace, while others are creating mobile spaces. At Elon University, the makerspace is a metal cart that can be rolled to dormitories and other campus locations. Student workers, community members, and trained volunteers tend to work in makerspaces, bringing expertise in different forms and functions of making. It is not likely that one librarian can staff the makerspace and answer all patron questions. Georgetown University, the subject of one of the case studies in my book, uses a community service model in which community members volunteer to help others in the makerspace in exchange for receiving 24/7 access via a keypad. My book, Development of Creative Spaces in Academic Libraries: A Decision Maker’s Guide (2018) from the Chandos Information Professional Series, includes case studies of a few of the many academic institutions that have decided to offer a makerspace in their library. This democratic focus on teaching people to use the space’s materials and tools is commendable and could be repeated at other institutions. We are pleased to offer our Library Connect readers an exclusive look at the book by providing a PDF of Chapter 26, “Case Study: East Carolina University, Teaching Resources Center’s Ann Rhem Schwarzmann Production Center.” Download PDF. Sharing research data is a practice that is increasingly encouraged by funders, institutions, and research communities. Policies, tools and training programmes are being developed to assist researchers and data providers to make data available in a way that optimizes data findability, accessibility, interoperability and reusability (i.e. according to the FAIR principles). One of the promises driving both data sharing and policy development is that shared data can and will be discovered and reused; but are users (researchers, librarians, students) discovering this data? And if they are finding them, (how) are they reusing them? In this webinar, organised by LIBER’s Research Data Management Working Group, Kathleen Gregory presented an overview of recent research investigating how researchers and librarians engage in practices of finding, understanding and reusing research data. She provided tips for finding research data and an opportunity for attendees to consider what this research means for developing services at their own organizations. Herkese açık kamusal alanlar giderek azalıyor ve birçok insan nitelikli bir eğitimden mahrum kalıyor. “Peer 2 Peer University”den Nico Koenig ve Grif Peterson, hayat boyu öğrenme ortamları ve kamusal mekânlar olarak kütüphanelerin potansiyelini konuştu. Nico Koenig eğitim programını koordine ediyor ve P2PU ağındaki pedagoglara ve kütüphanecilere danışmanlık yapıyor. Okul dışı ve yerel yetişkin eğitim programları ve projelerinin geliştirilmesi, koordinasyonu ve desteklenmesi alanında on yıllık bir tecrübeye sahip. 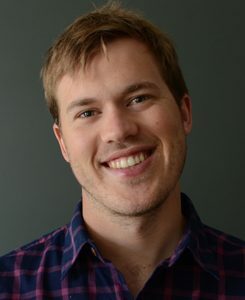 Grif Peterson, eğitim tasarımı, çevrimiçi kursların seçimi ve uygulaması dahil eğitim gruplarının kurulmasından, eğitmenler ve öğrenciler için ders kaynaklarının tasarımından ve geliştirilmesinden, ayrıca eğitmenlerin konsepte uygun eğitiminden sorumlu. P2PU’nun tüm dünyadaki kütüphanelerle iletişiminden de sorumlu olan Peterson, Chicago Halk Kütüphanesi ve Kenya Ulusal Kütüphane Servisi gibi pek çok büyük kütüphaneyle kalıcı bir işbirliğinin kurulmasına da önayak oldu. İnternetin kütüphaneleri gereksiz hale getirdiği görüşü hâlâ inatla savunuluyor. Sizce kütüphaneler dijital toplumda nasıl bir yere sahip? Grif Peterson: Şu anda moral bozucu bir dönemden geçiyoruz. İnterneti ve dijital teknolojiyi demokratikleşmenin ve özgürleşmenin araçları olarak göklere çıkaran sayısız örgüt ve proje var. Öte yandan, bu örgütlerin çoğunun çalışma anlayışı ve mülkiyet koşulları ne demokratik ne de özgür. İnternet dışındaki dünyaya hâkim olan neo-liberal iş modellerini yansıtan bu örgüt ve şirketlerin –ister Blockchain, isterse de çevrimiçi eğitim ya da bilgisayar uygulamaları alanında faaliyet göstersinler– sözümona “çığır açan” konseptlerine yakından bakıldığında, aslında çoğunun, mevcut iktidar yapıları ve yaşam biçimlerinin dijital versiyonundan başka bir şey olmadığı ve dijitalleşme aracılığıyla alternatif konseptler yaratmadıkları görülüyor. Bizim bundan çıkardığımız sonuç, şimdilerde giderek büyüyen eşitsizliğe karşı bir şeyler yapmak isteyen çevrimiçi ve çevrimdışı platformların desteklenmesi, korunması ve çoğaltılması gerektiği. Kütüphaneler işte bu noktada devreye giriyor. En azından Kuzey Amerika’da, insanların rahatsız edilmeden ya da bir şey satın almaya zorlanmadan istediği zaman gidebileceği tek yerler, kütüphaneler ve dini kurumlar. O nedenle, halk kütüphanelerinin modern toplumda oynayabileceği rolün görülmesinin ve buna sahip çıkılmasının çok önemli olduğunu düşünüyorum. Öğrenme konusuna gelecek olursak; şu sıralarda, kütüphanelerin eğitim misyonunu belediyeler tarafından yönetilen halk eğitimi programlarıyla yerine getirmenin yollarını arıyoruz. İzne, lisanslamaya ya da konuk eğitmene tabi olmadan yürütülebilecek programlar bunlar. 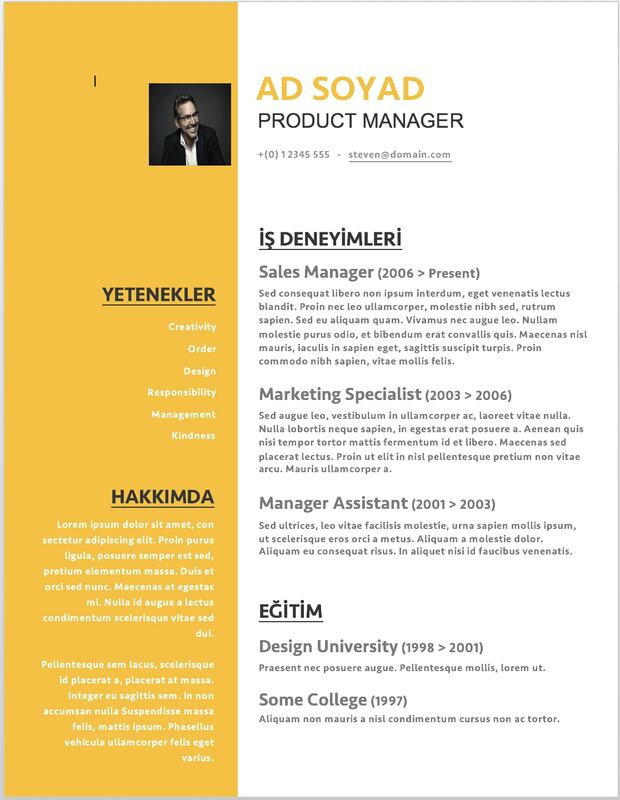 Bu ortak eğitim deneyiminin sonuçlarının belgelenmesi, herkesin hem bilgi tükettiği hem de bilgi ürettiği düşüncesini pekiştirmesi açısından çok önemli. Kütüphaneler eğitim alanında hangi rolü üstlenebilir ya da üstlenmelidir? Nico Koenig: Eğitim programları uzun zamandan beri kütüphanelerin misyonunun bir parçası, ama kütüphanelerin birer eğitim merkezi olarak geleceği açıkça tanımlanmış değil. Şu sıralarda, kütüphaneye sırf zevk için bir şeyler öğrenmeye gidildiği düşüncesi hâkim herhalde. Kimileri için doğru olabilir bu, ama kütüphanelerin insanların okumayı veya dil öğrenmesine, karmaşık beceriler edinmesine, anlamlı bir iş bulmasına, hayallerindeki geleceğe kavuşmak için gereken donanımı edinmesine yardımcı olduğunu biliyoruz. Ayrıca, üniversitelere benzer şekilde kütüphaneler de öğrencileri yüksek öğrenime hazırlıyor; her iki kurum da ileri eğitim programları sunuyor, ikisinde de bazen aynı öğretim görevileri aynı dersi veriyor! Fakat kütüphanelerin verebileceği hizmet sınırlı elbette. Bilimsel araştırmalara yönelmeleri ya da bir meslek okulu açmaları olası değil, ama bu bile hep böyle kalacak diye bir şey yok. Dolayısıyla, bizim “Üniversite öldü, yaşasın kütüphane” sloganımız, kütüphanelerin olanaklarını ve yönelimlerini genişletme çağrısıdır. Bu anlamda, kütüphanelerin eğitimde figüranlar değil, başrol oyuncuları olarak görülmeleri gerekir. Kütüphanelerin bunun için nasıl bir yaklaşıma ve hangi yöntemlere ihtiyacı var? Grif Peterson: Pek çok üniversiteden farklı olarak kütüphanelerin sarsılmaz bir misyonu var: Herkese ücretsiz bilgi. Nokta. Bizim çalışmalarımızın amacı, kütüphaneleri sınırsız potansiyellerini kullanmaya teşvik etmek ve toplumsal merkezler olarak kütüphanelerin, kulanıcılarını bir kitaba ya da internet sayfasına yönlendirmekten çok daha fazlasını yapabileceklerini göstermek. Pek çok kütüphane epeyce bir zamandan beri çok daha geniş kapsamlı hizmetler sunuyor gerçi. Yine de, kamuoyunu kütüphanelerin geniş hareket alanı hakkında bilgilendirme çalışmalarına devam edilmesi gerekiyor. Peki, pratikte bu nasıl oluyor? Kurumunuz “Peer 2 Peer University” bunda nasıl bir rol oynuyor? Grif Peterson: Öncelikle, kütüphane çalışanlarını, kütüphaneyi halka ait bir yer olarak benimsemeye teşvik ediyoruz. Özellikle de büyük kütüphaneler bunda zorlanıyor, çünkü şubelerinin kamuoyu çalışması yapmak için ne yetkisi ne de buna gereken zamanı ayırabilecek personeli var. Açılış-kapanış saatlerinin esnek olmaması ve katı davranış kurallarının uygulanması da bir kütüphanenin pek konuksever bir yer olmadığı izlenimini uyandırabiliyor. Bizim dikkatimizi çeken, pek çok kütüphane çalışanının, öneriler getiren, yardımcı olmak isteyen kullanıcı ve gönüllülere nasıl yaklaşılacağını bilememesi. Üstesinden gelinecek bir sürü bürokratik engel de var elbette, ama mevcut gereksinimleri anlamak, diyaloğa açık farklı bir yaklaşım sergilemek için en başta biraz zaman ayırmak gerekir. Biz kütüphaneleri, ortak eğitim programlarının moderasyonunu üstlenirken esnek davranmaya teşvik ediyoruz. Örneğin, diksiyon becerisini geliştirmek isteyen yirmi insanı bir araya getirdiğinizde onları kendi hallerine bırakamazsınız. O zaman bunun üstesinden gelemeyeceklerini düşünüp pes ederler. İnsanlara bu konuda rehberlik edecek biri gerekir. Fakat kütüphanedeki kurs ya da derslerin üniversitelerdeki gibi kesin yönergelerle –pahalı eğitim kitaplarıyla ve standart sınavlarla– yürütülmesini de istemiyoruz. Amacımız, kütüphanecilerle el ele vererek katılımcıları doğru yönlendirecek şekilde yapılandırılmış programlar geliştirmek. Aynı zamanda da katılımcılara, eğitim deneyimlerine yön verebilecekleri ve bir sınıfın iradesine bütünüyle boyun eğmeyecekleri bir özgürlük alanı bırakmak. Her zaman kolay olmuyor bu. Ama kafalardaki bilirkişi konseptini yıkmak ve her birimizin aynı anda hem eğitmen hem öğrenci olduğumuzu görmek açısından çok faydalı oluyor yuvarlak masa grupları. Genel olarak, bu konsepti üniversitelerden ziyade kütüphanelerle geliştirmekte çok daha başarılı olduk. Çünkü, daha önce de belirttiğimiz gibi, bu felsefe kütüphanelerin misyonuyla bire bir örtüşüyor.